At the international exhibition of watches and jewelry BaselWorld 2013, the known company Harry Winston has introduced a novelty Opus XIII. The novelty was developed in conjunction with Ludovic Ballouard, an independent watchmaker, a talented man who worked for many years in the famous watch brands F.P. Journe, Franck Muller. The model Opus XIII by Harry Winston features a unique time indication system. The caliber, collected on 242 jewels, provides the progress of the 59-minute minute hands that move in a vertical plane, as well as 11 watch triangular pointers, located on the dial. Other rotating parts are absent on the dial, but when the mechanism operates the illusion of minute and hour pointers circular motion creates. Minute hands alternately emerge and are released down, creating a wave motion. Indication of hours is carried out by the alternate extension of the 11-triangular pointers. 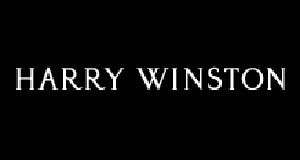 Instead of the 12th pointer at the 12 o’clock position the Harry Winston’s logo appears. The original caliber is inserted into a round case with a diameter of 44.25 mm and a thickness of 13.60 mm in 18-carat white gold. The novelty Opus XIII comes on a black leather strap. The watch is released a limited edition - 130 items.